7: Excerpts from memoir, Esther Markish's, "The Long Return (Le Long Retour)," 1978. Esther Markish wrote her memoirs when she was 66 years old and living in Israel after years of exile in the Soviet Union for the crime of being the wife of a “traitor to the motherland.” Her husband, Perets Markish, was arrested in 1949, and it was not until he was officially (but posthumously) “rehabilitated” in 1955 that Esther and her sons were officially told that Perets had been executed in 1952. Esther Markish’s memoirs are therefore understandably bitter in her depiction of their life and ordeals. 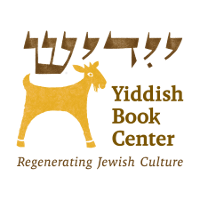 They also provide a unique and intimate portrait of her husband and many of the Yiddish and Russian literary and cultural figures of the 1920s-1950s, including many of the JAFC members. The first excerpt, about Perets Markish’s relationship with Mikhoels, illuminates Markish’s poem about Mikhoels (resource 2) and contradicts Perets Markish’s depiction of that relationship in his court testimony (resource 8). The second provides a different version of the story about the meeting between Paul Robeson and Itsik Fefer discussed in resource 5. Suggested Activity: Unlike the other resources, these memoirs are personal recollections written thirty years or more after the events described. Ask students to consider if that affects how they read these excerpts, especially given that Esther Markish’s versions of the stories about Robeson and even her husband’s relationship with Mikhoels contradict the other sources. Is a memoir valuable as “evidence,” “testimony,” or “history”? If so, how? Is it more like literature? Does a memoir have to be demonstrably accurate in order for us to learn something from it? Source: Esther Markish, The Long Return, trans. D.I. Goldstein (New York: Ballantine Books, 1978), 94-96 and 170-173.